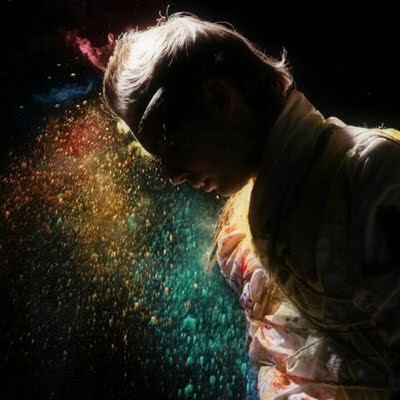 Fans of Sigur Ros must know by now that frontman Jonsi will be releasing his first solo record Go this coming April. Back in December we heard the first single Boy Lilikoi and now we’re getting another taste of the record with the video for Go Do. Although I’ve never been a big fan of Sigur Ros, I’m enjoying what I’ve heard so far from Jonsi’s album. Maybe it’s the English? Maybe it’s Nico Muhly? Who knows. Anyways, take a look at the new video and enjoy some music Jonsi has made. 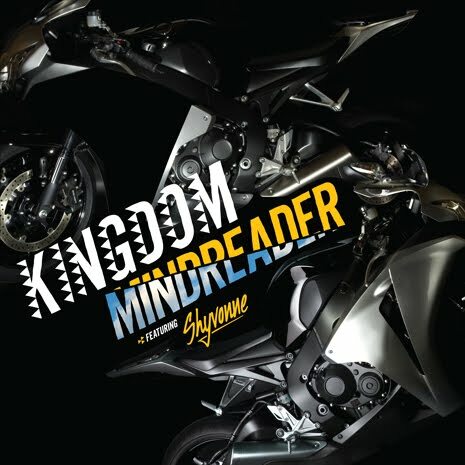 We’ve been hearing snippets of Kingdom’s Mind Reader for quite a while now, but it’s finally out…with remixes! The digital release came out yesterday and features remixes from Todd Edwards, Bok Bok and L-Vis 1990. The 12″ is coming soon on Fool’s Gold and you can order a limited edition 10″ of Mind Reader with You as a b-side from Acephale now. Check out the L-Vis 1990 remix here and buy the record for the rest! Question: How do you describe awesomeness? Besides general awesomeness, this is how you can attempt to describe the Canadian four piece band of musicians/filmmakers/artists known as Kids on TV. Formed and based in Toronto, Kids on TV have been pumping out the queer jams, videos, performances, graffiti, rock operas, bathhouse shows and tons of other totally awesome-totally gay stuff since 2003. They’ve worked Boy George, Man Parrish and Yo Majesty, provided remixes for Lesbians on Ecstacy, played shows with Gang of Four, Ladytron, Crystal Castles, Les Georges Leningrad and tons of other good bands and they’re signed to Chicks on Speeds records. Pretty impressive stuff! They released their first full length Mixing Business with Pleasure in 2007, an EP called Shape Shifting Mutants last year and are working on their next album Pantheon to be released in the near future. If you haven’t heard Kids on TV, their music is totally dancefloor friendly, but that’s not all their trying to do. You can hear punk influences, tripped out rock, shoegazey sounds and indie electro (not to mention a cover of one of the YoungCreatures’ faves, Goodbye Horses) all rolled up into an art (bath)house package!! SO…if you’re like me and you just discovered Kids on TV you’ve got a lot of catching up to do! To get us started I’ve included a couple of rad videos the Kids on TV crew made and a remix of their song Poison. You will also notice links to a not quite-SFW video for their cover of Roxy Music’s In Every Dream Home a Heartache and a REALLY NSFW Super 8 film the band made-both of which you should totally check out. For a psychedelic journey via the internet and more music jump over to their Myspace page and for all the happenings and history visit their website. I’m really excited that we’ve been able to make friends with Kids on TV! Being able to share the work of bands like Kids on TV is EXACTLY why we do this blog, so you better believe we will keep you posted with updates on their new album and any other good stuff! Sia, everyone’s favorite Aussie, has announced North American and European tours to support her upcoming album We Are Born. All I know is if Sia’s version of You’ve Changed is any indication of the quality of the upcoming record, We Are Born is definitely something to look forward to and the live show will surely be a great time! As a side note for those superfans out there, word is Sia will be tweeting passwords to buy presale tickets for the tour, so follow her on Twitter to get in on that. Check out the North American tour dates and a few songs to get you excited! Cypher in the Snow are truly indescribable- they need to be heard. While definitely a punk band, they featured banjo, trumpet, and accordion as well, conjuring a sound unlike any heard before or since. Take a listen to this song from their So You Have an STD… 7″, and then go find yrself a copy of Blow Away the Glitter Diamonds asap! 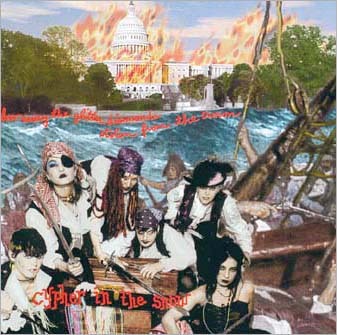 Here is a link to download Blow Away the Glitter Diamonds..
& here is one of my most favorite Cypher songs, “Blame the Victim,” from their split 7″ w/Sleater Kinney. Brontez Purnell’s post Gravy Train!!!! project The Younger Lovers have made a video for the track Sha-Boo-Bee from their Newest Romantic LP. 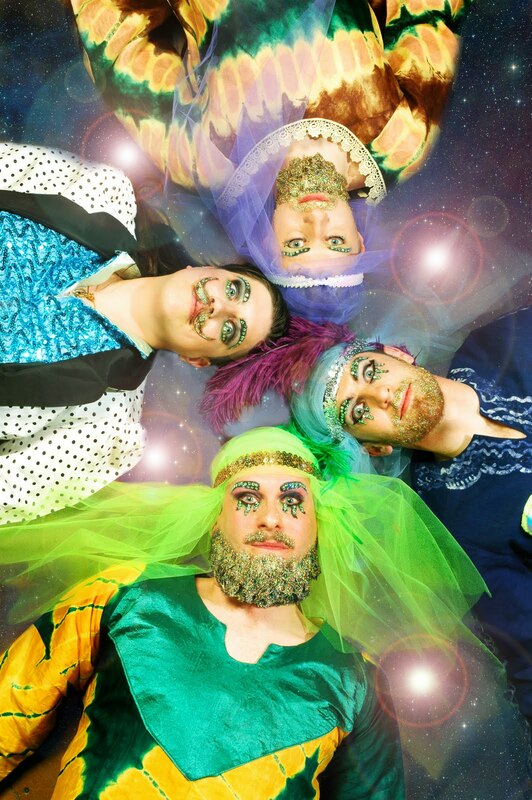 The video is a cute Super 8 accompaniment to a stand out track on the awesome queer punk/”gay-rage” record. You can buy Newest Romantic here and check out the Sha-Boo-Bee (or maybe Sha-Boo-Lee? conflicting internets!) video and another song from the record below! As a cast member of UK’s Celebrity Big Brother the S-O-V opened up to a fellow “celebrity” about girlfriends, ex-girlfriends and how she hasn’t had a boyfriend in ages. I’m pretty sure anybody who has ever even heard of a lesbian could pick up on Sov’s queerness, but it’s cool she was open about it…especially in such a casual way. I’m really glad there wasn’t some sort of “I’m a Dyke” cover of URB magazine (or whatever the hipster equivalent of People would be) that we had to deal with. Duh Lady Sov’s queer. Nobody’s shocked…just like nobody was shocked when Lance Bass, Adam Lambert or Ellen or Rosie or any other obviously gay person “came out”. Newsflash – You guys didn’t have to come out because WE HAVE SEEN YOUR FACES. Did anybody believe those gay mugs were engaging in heterosexual behavior? NO. Anyways…any uncertainty about Lady Sovereign has been officially cleared up. Watch the video to hear it for yourself and check out some of the biggest midget in the game’s tunes below!